2. Incredible Flexibility 2. Relatively Less Durable. 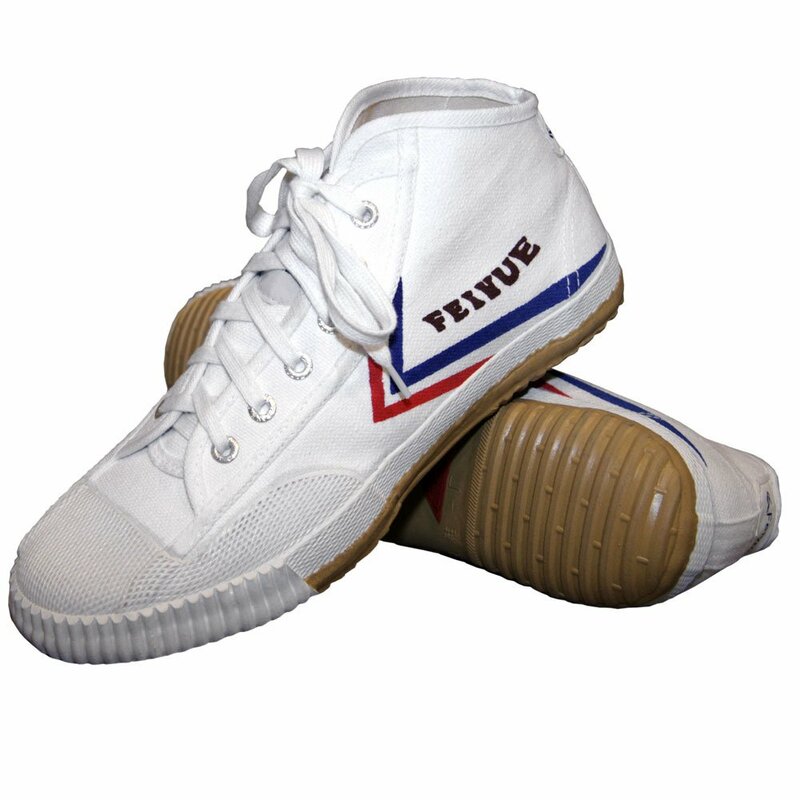 Feiyue is a popular Chinese brand offering excellent services to its satisfied customers all over the globe. The brand is in operation since 1920’s, located in Shanghai, China and provides a variety of shoe products for martial artists, athletes, and other running activities. The quality and features of the shoe are so superior that people from all over the globe adore it. If you are looking for other parkour shoes, check out our complete guide on the best parkour shoes here. The design of the shoe is very straightforward and sleek. The sole is tan rubber with deep grooves. It has a thin white upper that is very soft and breathable. Talking about the comfort and fit, the shoe loses some points here. It lacks proper cushioning and also the upper body is not much sturdy. So, it is not suitable for the persons who are not familiar with wearing minimal shoes. The pair provides a wider fit, but if you find it little snugger, you can lace up more tightly. The weight of the shoe is very light, and the foot feels sensible to the ground. Due to its light-weight, it offers great balance than any other running shoe. One of the biggest strength of the product is its high flexibility. It can be twisted, bent, and crumpled in any direction. Besides, its thin upper canvas provides excellent unimpeded ankle flexibility. Feiyue shoes have minimal or no padding. The shoe doesn’t provide protection against shocks or heavy impacts. That means one must have to be extra-careful while practicing or training. The shoe offers excellent grip holding on flat surfaces allowing traceurs to parkour harder. If you are a novice at performing your techniques the grip will be more than enough. But the grip destroys soon due to the poor sole. Talking about the strength, the shoe lags behind. The sole is not very sturdy, and the grip looses quickly due to cumbersome and intense training. But, other parts of shoe i.e. the metal eyelets, canvas, lace-up system all are safe and durable. At last, I will only recommend that if you are a newbie to Parkour training, then you should not wear these shoes. Feiyue shoes are less shock absorptive, and you may get injured while training. You can use them only for the balancing activities or for short precisions. But is you are an advanced and perfect traceur, then you should go for Feiyue shoes as they are made for the perfectionists. Besides, they also work well for ankle support and hard training sessions. Hope that helped!